When a product concept materializes, how does one develop it to eventually bring it to market? With the right combination of business strategies, creativity, motivation, and technical skills, business professionals can turn an idea into a product that addresses a market need and generates revenue. The skills and knowledge developed in an MBA program can facilitate success during each stage of the process. Some ideas come naturally, but most new products are the result of strategic brainstorming sessions. New product ideas can stem from conversations with employees, customer feedback surveys, or industry trends and predictions. Brainstorm with the ideal customers in mind, analyzing their needs, satisfaction with current products, and perspectives of the competition. This is important because if those customers don’t want or need a product, it has no chance of succeeding in the market. This aspect of product development involves idea distillation. The goal is to eliminate ideas that are not worth pursuing and highlight the ones that have the potential to be lucrative products. Share the list of ideas with decision-makers in the management team, and weigh the cost and benefits of each option until you’re left with the most promising ones. Consider required resources, market trends, and potential to generate revenue when evaluating each idea. Gathering information on market trends and consumer buying habits, evaluating relevant segments, and seeking feedback internally and externally can guide informed predictions about the product’s lifespan. Aligning with overall objectives: Make sure the idea will contribute to overarching business plans and goals. Shaping a pricing strategy: Consider whether it’s a unique product or one that has to compete with current options, plus selling locations and speed of product establishment. This process also helps determine how much the team can afford to invest in the project. Forming a development team: Determine who will help with design, production, marketing, finance, and so on. At this stage in the new product development process, everyone should feel confident that the new product will satisfy customers, compete in the space, and generate a profit. The idea becomes tangible at this stage, as the development team creates a prototype product. This is also the time to determine if the team will manufacture and sell the product. Depending on costs and resources, some leaders may choose an alternate route like licensing, meaning they grant the rights to make, use, and sell the product to another company in exchange for agreed fees and payments. Test the prototype to identify areas for improvement before full launch. Hold small product releases in a few designated areas to see how the consumers react to the product. After collecting feedback from consumers, manufacturers, and internal stakeholders, make necessary changes. Test updated versions before the official launch. 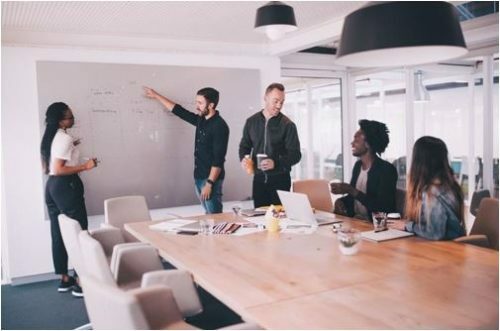 Before scheduling an official launch date, the marketing team needs to determine how to sell and promote the product appropriately within the sector—including the elevator pitch to attract potential customers. These professionals can use the feedback from prototype testing to craft compelling campaigns and target messaging. The final result should align with how the developers want customers to perceive the product. When it’s time to launch the product, monitor its performance. Continue to advertise the product and produce as many units as demand requires. While it’s easy to hyperfocus on the idea, product development requires a strong grasp on the overarching goals. Business acumen helps form a foundation upon which to brainstorm and monitor the creation of marketable and profitable products. Moreover, it’s a smart move to approach product development analysis from a business perspective. The idea may be yours, but you can’t bring it to market without the support of a competent development team. Product development managers oversee a group of professionals with a variety of skills, from those with the required technical expertise to people who understand the supply chain nuances. A very low percentage of new products and services actually achieve enduring breakthrough performance—less than 0.5 percent according to Nielsen. Product failure affects more than morale, taking a toll on the investments and objectives of the entire team and company. As such, product development requires well thought-out strategy and careful problem solving to make sure each decision keeps the project moving in the right direction—and that the product avoids the majority’s fate. Pursuing a Master of Business Administration can prepare professionals with the refined knowledge and skills, including those mentioned above, that will enhance already business-savvy mindsets. 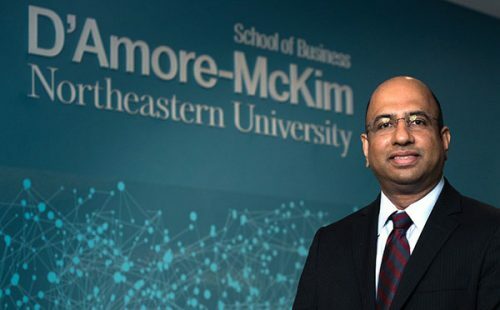 Designed for seasoned business professionals, the Online MBA program at the Northeastern University D’Amore-McKim School of Business offers a rigorous, experiential curriculum that challenges students to reach new professional heights—especially if product innovation and development is in their future. Northeastern’s Online MBA offers an Innovation Entrepreneurship concentration with courses like “New Venture Creation” and “New Product Development.” The curriculum covers what’s necessary to bring ideas to fruition, including an overview of current needs in the sector, plus the new product development process, strategy, and testing. Online MBA graduates who pursue the Entrepreneurship concentration often secure positions like product development manager or director of development. These leaders are at the forefront of the process, managing costs, allocating resources, planning the development timeline, and troubleshooting issues along the way. To learn more about the program curriculum, click here.